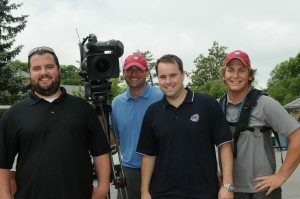 It’s always a long haul, but Go To Team’s Charlotte based crew, Skip Clark and Dan Lowrey, just wrapped up their time on the road with Fox Sports covering the NASCAR Sprint Cup Series. They start the season in Daytona with the big hangar shoot (be sure to check out those blog posts if you haven’t already!) and then they spend the rest of the season cris-crossing the country covering 15 races in 12 states! But it always wraps up with a “homerun” at the Dover race. The whole Pre-Race crew heads up to Philadelphia to catch a Phillies game at Citizen Bank Park with Chris Pizzi and his Dad. 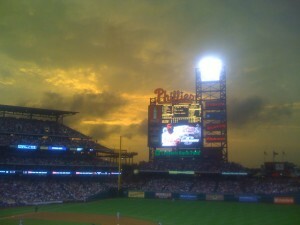 Sunset over the park this year was awesome and the Phillies beat the Nationals 5 to 4. Just the day before, Skip, Dan, producers Pizzi and Jake Jolivette hit the links for the Drive For Autism Celebrity Golf Tournament. It’s always a big event with several of the drivers showing up to play golf and raise money for the Autism Speaks foundation. The guys all got together for their own celebrity photo! 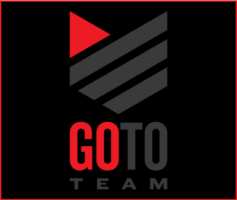 Be sure to stay tuned to the Go To Team blog for more from the Fox Sports NASCAR circuit!